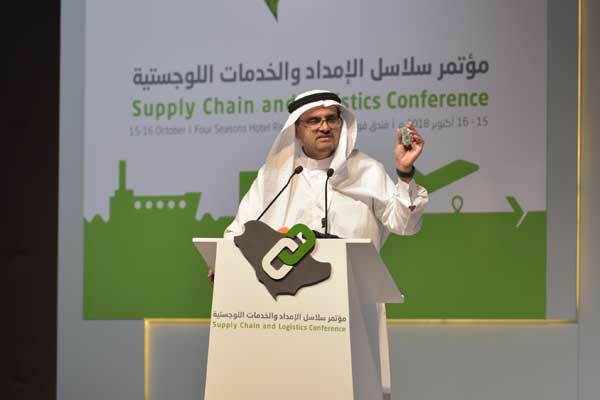 The role played by the supply and logistics sector in Saudi Arabia has gained increasing importance in both scope and value, said Saudi Aramco’s senior vice president of operations and business services Muhammad M Saggaf, during a recent event. Saudi Aramco participated in the 2nd Supply Chain and Logistics Conference organised by the Ministry of Transport in Riyadh. Saggaf delivered a keynote speech at the two-day conference, Saudi Arabia’s most comprehensive event of its kind, to underscore the importance of creating a logistics hub in the kingdom. “The kingdom enjoys several competitive advantages, including its prime geographic location between three continents, a pro-investment fiscal regime, a stable currency exchange environment and competitively-priced and abundant energy feedstocks and minerals,” he added. Saggaf praised the relevant government entities, such as the Ministry of Transport, along with the private sector, for their efforts in developing this sector even further, highlighting the following five areas for further development, namely: Adopting Artificial Intelligence and technical innovations, boosting trade procedures and operations, enhancing B2B, developing cluster applications in the transport sector, and enhancing Human Resources. The aim of the supply chain conference is to leverage Saudi Arabia’s prime geographic location for optimal import and export traffic between Asia, Europe and North Africa closely aligns with both Vision 2030, the National Transformation Program 2020, and Saudi Aramco’s efforts to enhance economic diversification and build local content. The conference explored progress and opportunities in streamlining import and export processes, reforming government structures and regulations, and enhancing public-private partnerships.